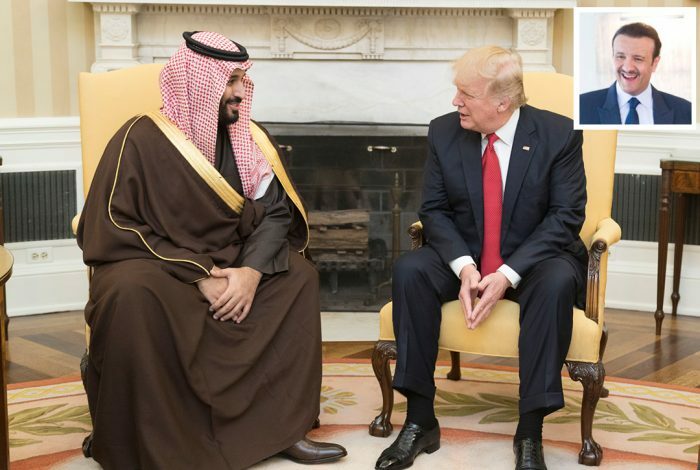 In light of President Donald Trump’s meeting with the Saudi crown prince Tuesday, it bears remembering that the Saudi royal family has documented ties to the 9/11 hijackers. 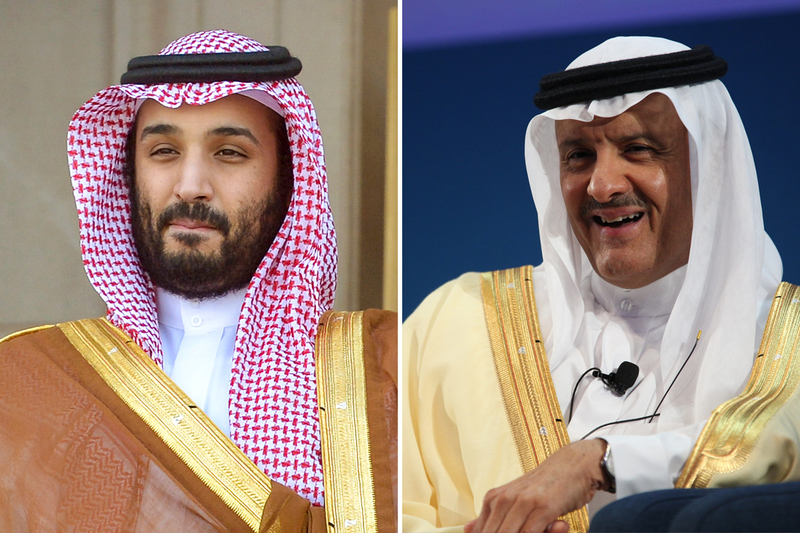 Prince Mohammed Bin Salman, heir to the Saudi throne, is very close to his half-brother, a man who, evidence suggests, may have had inside knowledge of the 9/11 attacks. The connection between the royals and the hijackers has been the subject of US legislation and a lawsuit by the victims’ families. Prince Mohammed bin Salman bin Abdulaziz Al Saud (left). Prince Sultan bin Salman bin Abdulaziz Al-Saud (right). As WhoWhatWhy originally reported in 2011, Prince Sultan is directly connected to a Saudi family, the Ghazzawis, that hosted some of the hijackers at their home in Florida. Phone records documented communication, dating back more than a year, that connected a Saudi family then living in a house near Sarasota, Florida, with the alleged plot leader, Mohammed Atta, and his hijack pilots — as well as to eleven of the other hijackers. In addition, records from the guard house at the gated community tied Atta’s vehicle and his accomplice, Ziad Jarrah, to actual visits to the house. Anoud and Abdulazzi al-Hiijjii and their young twins abruptly departed their home in Sarasota only days before September 11, 2001 and traveled to Arlington, Virginia, where they stayed briefly at another house owned by Anoud’s father, Esam Ghazzawi. Then, still well before 9/11, the entire group, now including the father, flew to London and on to Riyadh, Saudi Arabia. The Sarasota house was sold in 2003, as was a penthouse apartment in another DC suburb, Rosslyn, Virginia. Of special interest is the Ghazzawis’ boss, the chairman of EIRAD Holding Co. Ltd., Prince Sultan bin Salman bin Abdul Aziz Al-Saud. He is a prominent and powerful member of the ruling Saudi royal family, who is expected to become crown prince and thereby in line to become king. Born in 1956, which makes him approximately the same age as the Ghazzawi brothers, Prince Sultan bin Salman is a grandson of King Abdul Aziz (commonly referred to as Ibn Saud), founder of modern Saudi Arabia. 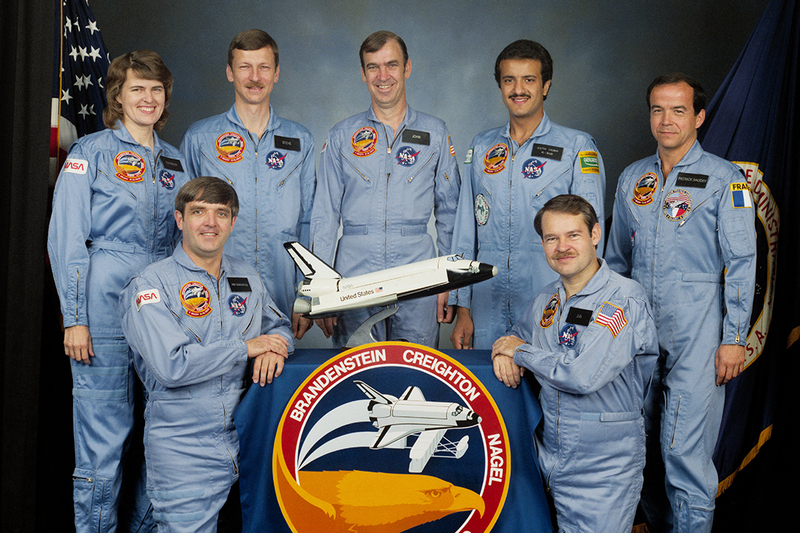 Prince Sultan bin Salman (standing second right) with crew of STS 51-G, May 22, 1985. RELATED: Saudi Royal Ties to 9/11 Hijackers via Florida Saudi Family? Now, Trump has welcomed Prince Mohammed, part of this Saudi Royal faction. When he was a candidate, Trump expressed concerns about whether the full story of what happened on 9/11 had come out, and many of his supporters were vocal skeptics of the officially promulgated US government narrative — which does not seriously address evidence of high-level Saudi foreknowledge of the audacious attacks. Whether Trump asked Mohammed about any of that is not known. A request for comment to the White House had gone unanswered by press time. Related front page panorama photo credit: Adapted by WhoWhatWhy from Donald Trump and Prince Mohammad (The White House), Prince Sultan (World Travel & Tourism Council / Wikimedia – CC BY 2.0), and NYC (9/11 Photos / Flickr – CC BY 2.0).